If the kids want to do some splashing about in the pool this summer, then they (and you) will love the new range of fantastic, great value family pool sessions now on offer at Durham County Council leisure centre pools. With sessions for all ages throughout the holidays we can help you keep them entertained all summer long whatever the weather. Our new Aquafun sessions use brand new equipment including rafts, floats and water toys, along with floaters, sinkers and balls. This is a free play session which is lots of fun. We have some fantastic new pool inflatables for summer 2017. They are suitable for 8-14 year olds who will climb, slip and slide their way along as they try to complete this splashtastic challenge. Come along and meet Brock the badger and his friends at our brand new sessions. 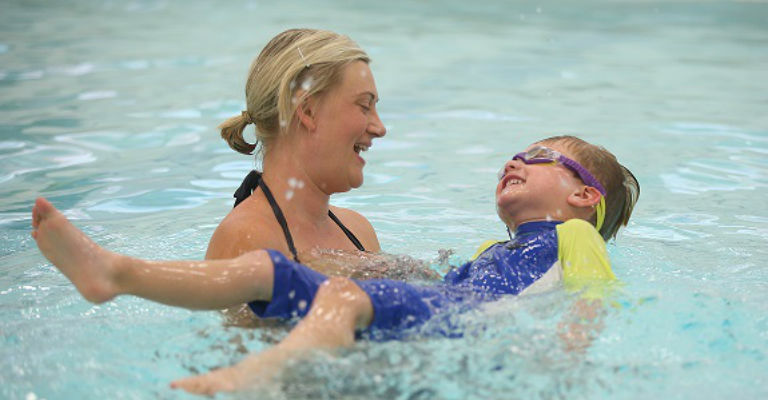 It’s time for you and your child to make a splash and play games to build water confidence. Our instructors will lead the sessions and there will be plenty of time for free play.